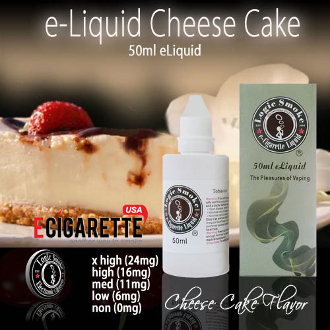 Our Cheesecake e-liquid is a marvelous recreation of the classic sweet. This vape exhibits a delightfully sweet creaminess, nonetheless is not overwhelming. This is a favorite among customers. It's excellent following any meal, however most of our customers notice they are hooked on it all day long. Nice on its own or combined with almost any other flavor.